As I’ve already mentioned, I am in LOVE with nut butters! All kinds, I don’t discriminate. However, I’ve never had macadamia nut butter. 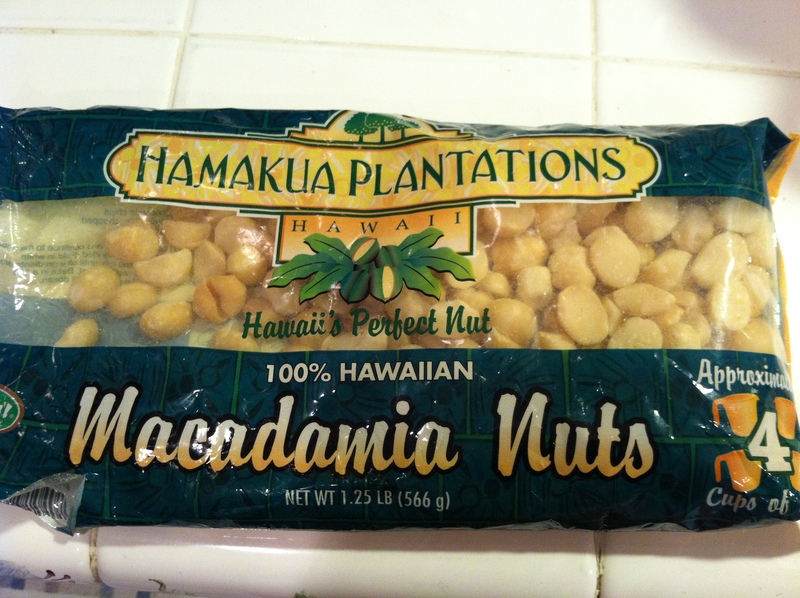 A few months ago, a friend gave me a huge 4 pound bag of macadamia nuts that she brought back from Hawaii. I had big plans in my head for this bag such as making white chocolate macadamia nut bars etc. But, as life happens, I forgot and I never made them. All of the sudden I realized today that the nuts were going to expire soon! WHAT?!?! There was no way I was going to let these delicious nuts go to waste! 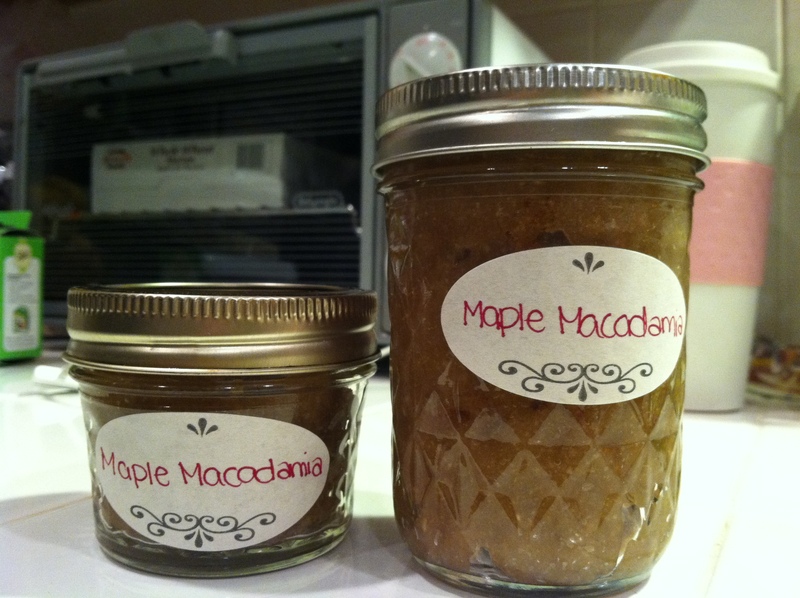 So I decided to make Maple Macadamia Nut Butter and I am sooo happy I did! The butter is delicious and creamy! Making any nut butter is super easy! I just took macadamia nuts and threw them in the food processor and blended. Put the 2 cups macadamia nuts in the food processor. 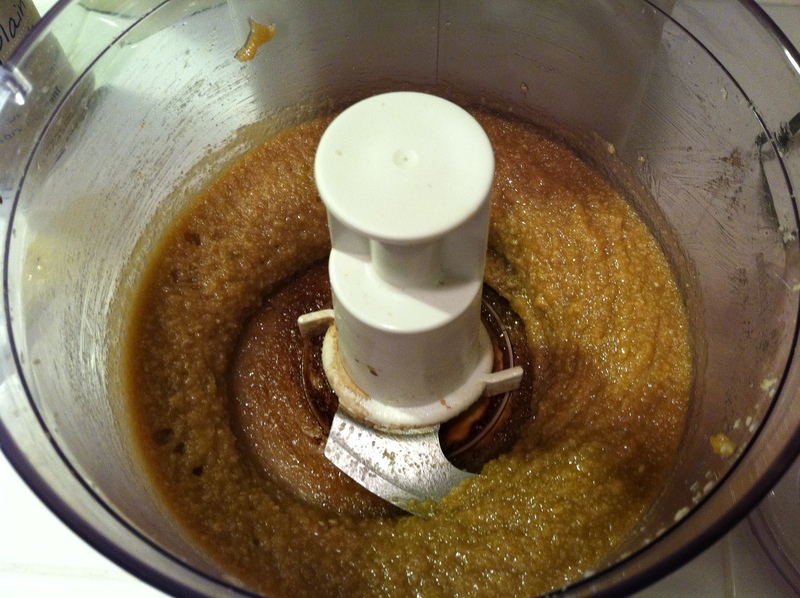 Turn the food processor on and let blend for about 3 minutes until it turns into a paste. Then add in the syrup and extract and blend for another minute. At this point taste and add more maple if needed!